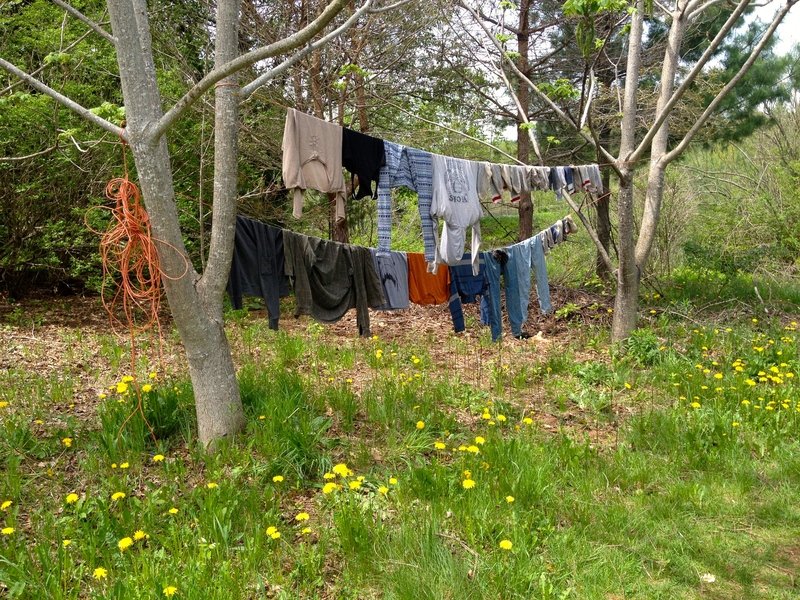 Thank you, May, for such unusually fantastic weather! Normally in May we get lots of rain and cold. But this year, we got warm and dry. That sure made soil preparation, planting, and cultivation easier. We worked hard to catch up on field work that was impossible in March and April. 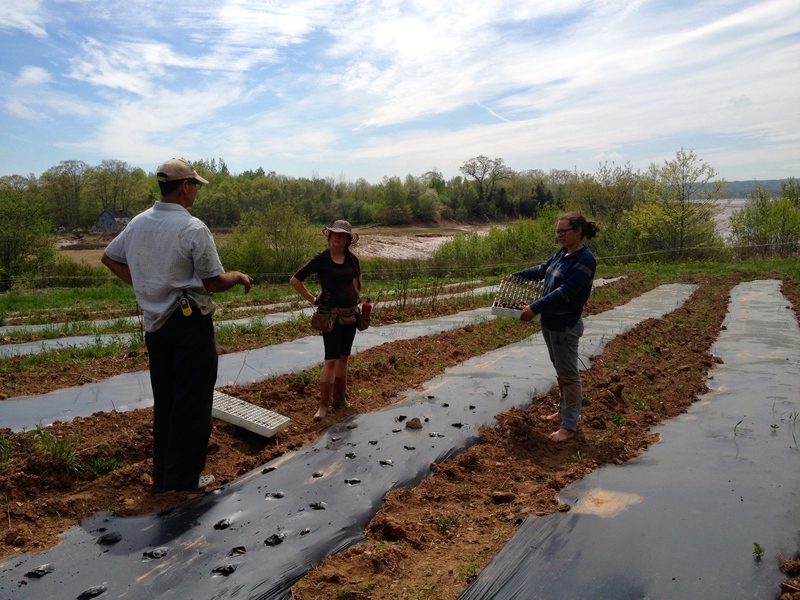 Most of the hoop houses were moved to the middle field and planted to tomatoes, peppers, eggplant, and melons. 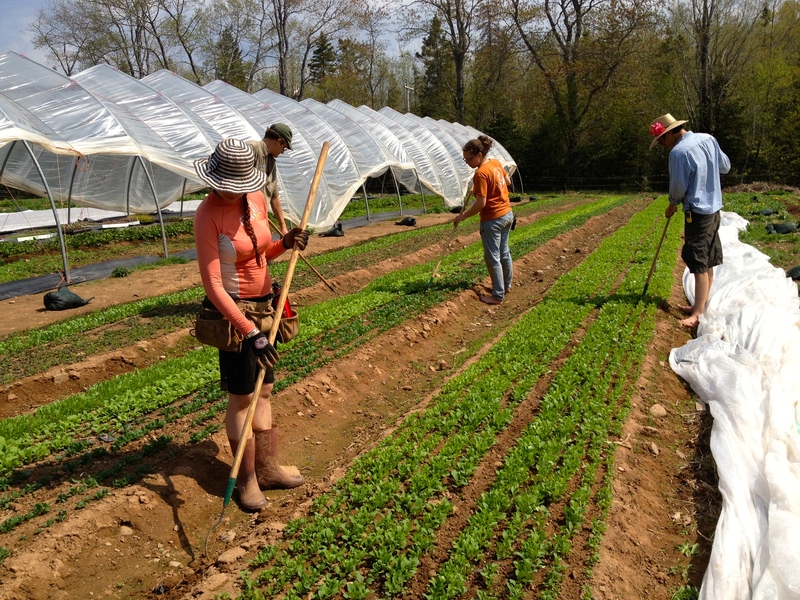 One of the hoop houses, named Gothic, is being moved today by Alice and Bernard. David is trusting them to do it on their own. Gothic will have ginger, melons, and tomatoes growing in it over the summer. 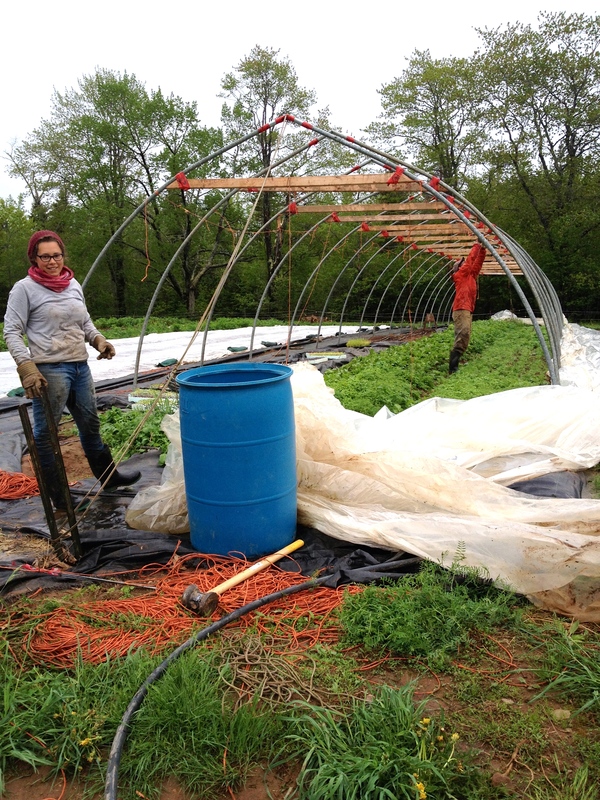 The other hoop houses have been named Sugar Shack and Black Sheep. The live-in crew has settled in, and they’ve learned a lot in a short time. They’ve made the farm their home. Bernard is organizing another group work and learn day on June 21. Everyone is welcome to join in. 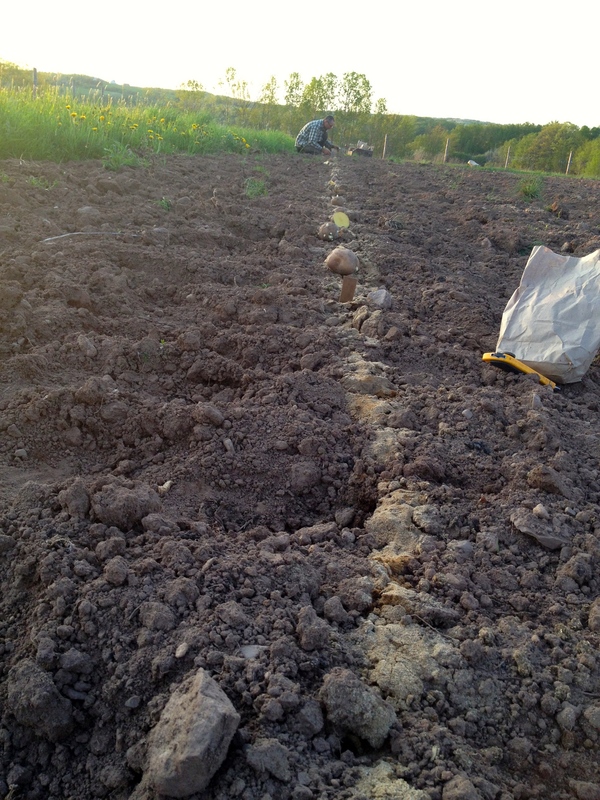 David and I planted our special potatoes May 30. We are selecting these spuds for disease resistance. 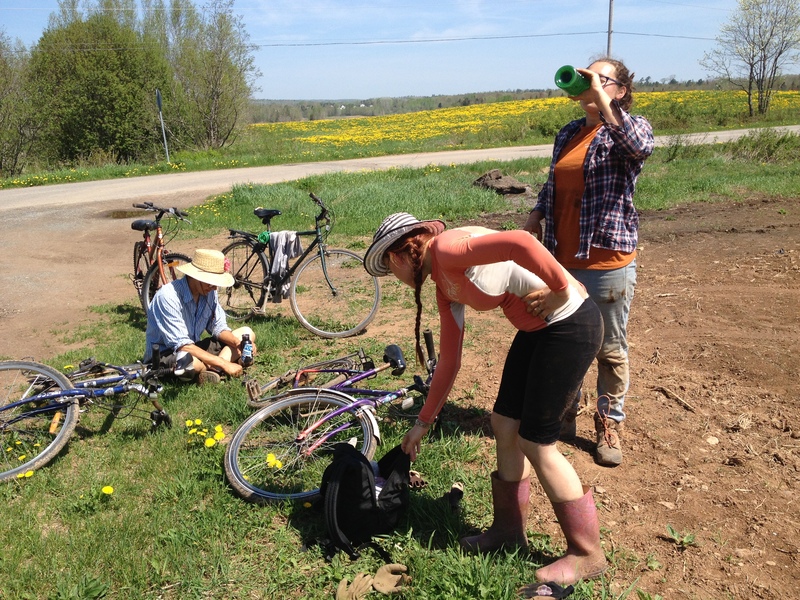 We biked over to Caseydale Farm to do some rock picking on their oat field. 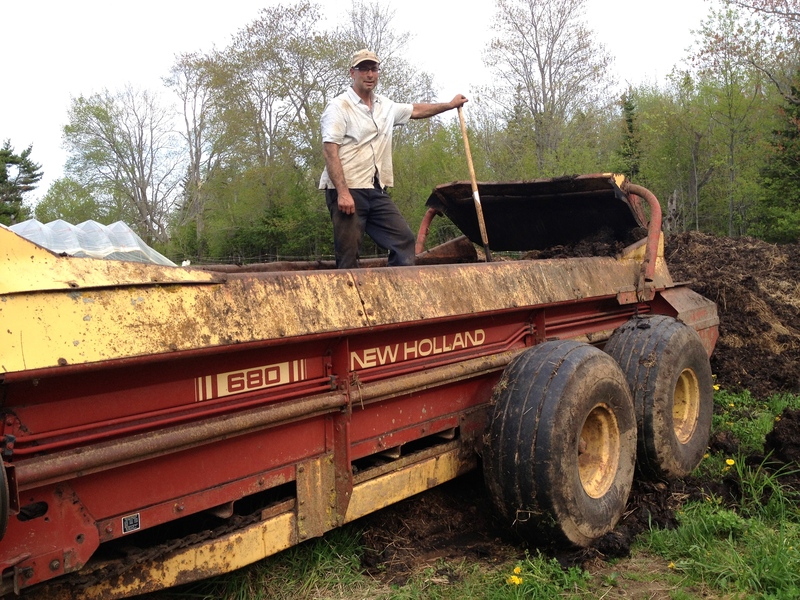 Yes, David had to shovel out this manure spreader by hand. He and Phil had to fix a couple of links. Click the carrot to sign up.